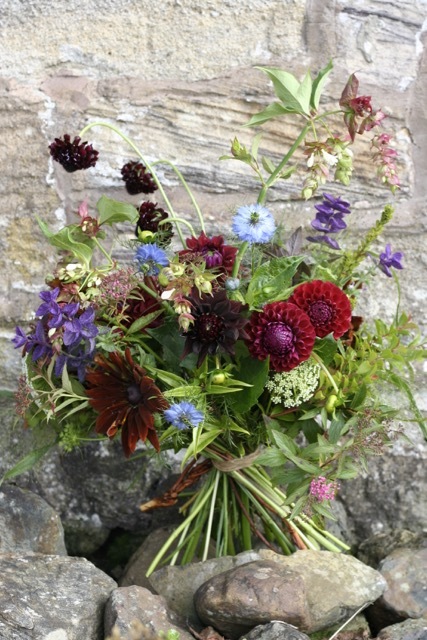 Join us in the beautiful setting of Mayfield Flower farm in Ayrshire for an informal workshop on creating spiral handtied bouquets using natural seasonal flowers. 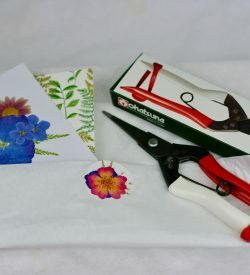 This is a versatile technique which can be used to present flowers as a gift, or used as a simple way to arrange flowers in a vase or jug. 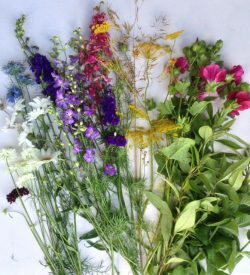 This workshop will appeal to people who have their own garden flowers and want to make the most of them as well as floral fans who are looking for some special seasonal flowers to work with. 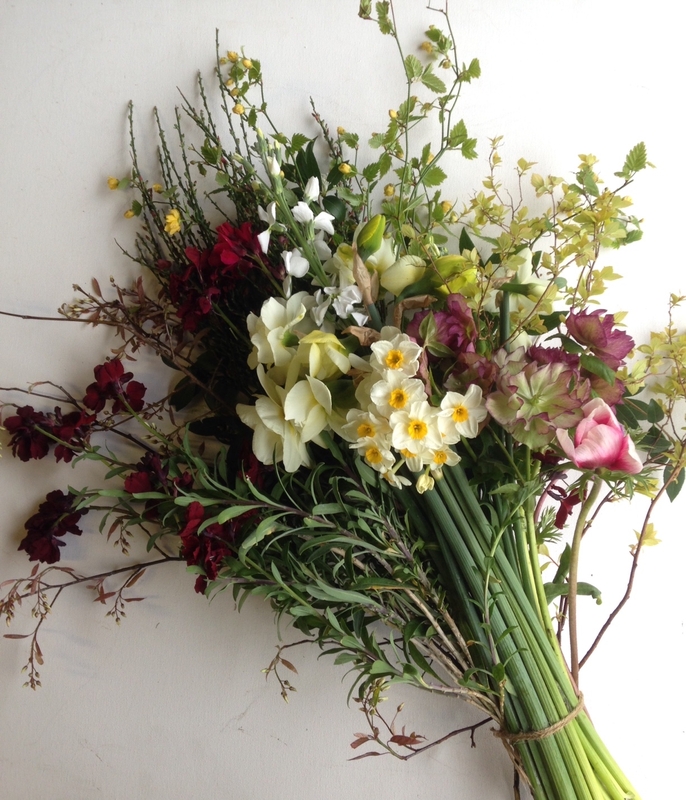 No previous floristry experience is required and all tools and flowers are provided . 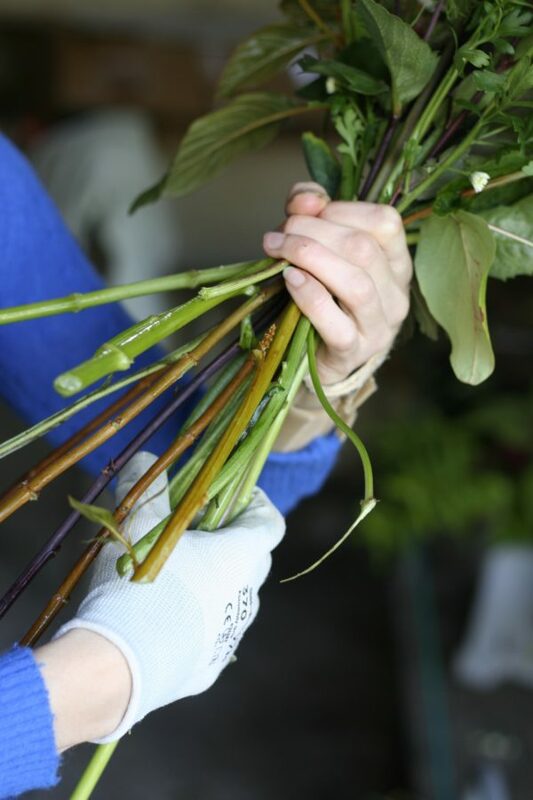 Join us in the beautiful setting of Mayfield Flower farm in Ayrshire for an informal workshop on creating spiral hand tie bouquets using natural seasonal flowers. This is a versatile technique which can be used to present flowers as a gift, or used as a simple way to arrange flowers in a vase or jug. 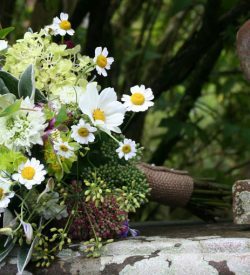 This workshop will appeal to people who have their own garden flowers and want to make the most of them as well as floral fans who are looking for some special seasonal flowers to work with. 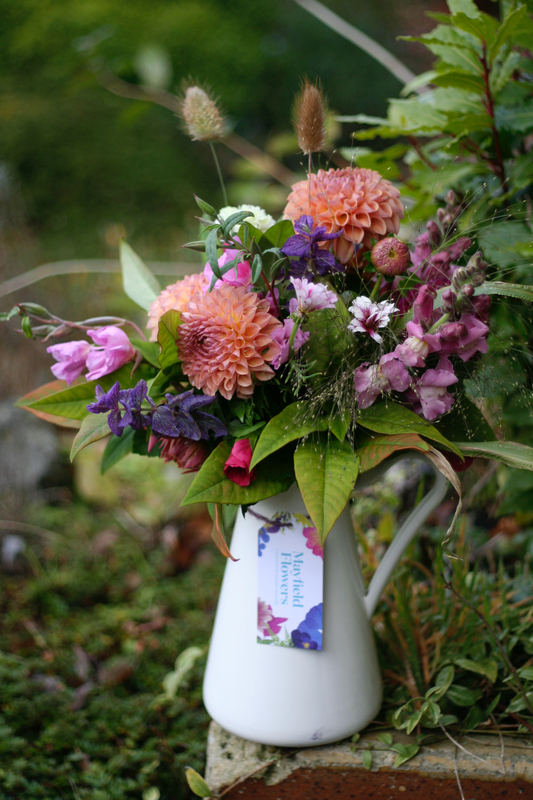 Each month’s workshop materials will be different reflecting the seasonal changes in our Scottish grown flowers. We will start with a tour of the gardens discussing the best flowers to cut and how to condition them for vase life. 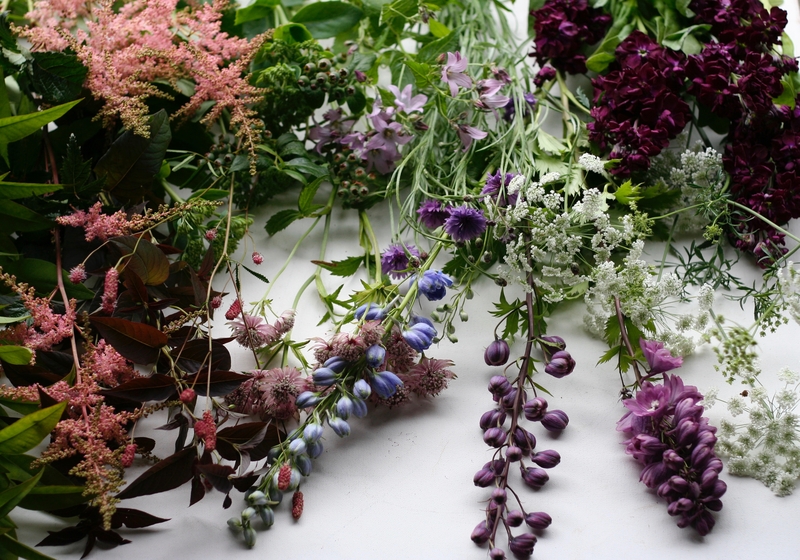 If you like to use flowers from your own garden and want to know the secrets to success this is the ideal opportunity to ask questions as well as opening your eyes to the numerous possibilities for cutting from your existing garden. We will then make a natural hand tied bouquet using fresh Mayfield blooms and finish with gift wrapping to take your bouquet home. No previous floristry experience is required and all tools and flowers (equivalent to our medium gift wrapped bouquet) are provided . Price includes refreshments and your wrapped bouquet to take home. The small group size (maximum 8) ensures you have plenty of time to practise, ask questions and enjoy the day.